Dedicated to a good friend and fellow business owner, who also runs a free Law of Attraction channel on YouTube. Thanks for letting me hijack your brand name for the title of my blog lovely! I set up my first company aged just 19. By 23 I had increased my income more than ten times over and landed the biggest result of my career… A huge four storey building in central London which I turned into my music and dance studios. Fast forward 6 months and the overheads associated with a huge central London company start to kick in. Fast forward yet another year and I’m starting to break even and things are looking positive. However, in hindsight I see now there were a lot of negative energies and influences around me, and sure enough they rubbed off. I took a hit. Financially, emotionally, mentally, everything… I hit ROCK bottom. Depressed doesn’t even come close to the darkness I felt. Relationships drained me (and they subsequently ended), colleagues and friends betrayed me, my bank balance made me feel physically sick, and in the midst of doom and despair, I also realised I’d lost friends through my own decision to become a social hermit in order to dedicate my life to the businesses. Life was a mess. Enter ‘The Secret’ by Ronda Byrne. The first book in a whole library of literary genius I have since devoured and executed! 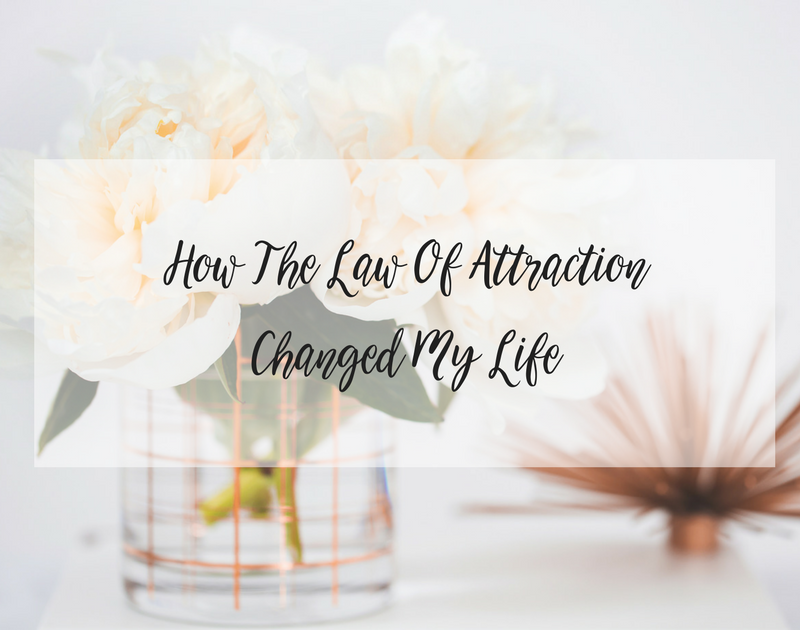 This was my first proper introduction to the Law of Attraction. My Dad had similar books on the bookshelf for all of my childhood but I never paid much attention. Titles such as ‘Feel The Fear And Do It Anyway’ by Susan Jeffers, and ‘Being In Balance’ by Wayne Dyer. Once the notion that my energy is ultimately responsible for my experience settled in to my core, I began to see changes, and noticed patterns emerging. Instead of allowing emotions to take over me like they normally would when I got angry, or sad, or frustrated, I started to become aware of them instead so I could subsequently control the frequencies I was emitting into the universe. I began to smile, I re-surfaced the kind genuine spirit who I’d buried under the chaos, and I noticed that everything I gave (in terms of energy and emotion) started to come back to me ten fold. The bad stuff too… I was no expert by this point! And so began my library collection. A comprehensive list of which I will detail below. For the sake of the story let’s fast forward a few more years. April 2014, I discovered the teachings of Abraham Hicks and my life has since changed forever! I’ve found my life partner, my businesses are proliferating like crazy, the bank balance is soaring, and I just keep setting those goals and dreams even higher! I’ve found a belief system that works for me. Once you connect, you’re in. Phew!!! That enough for you?! There are some more business related titles in there that aren’t solely Law of Attraction and energy-teaching-esque but still absolutely fantastic reads! !